For years, fear of automation has dominated the conversation surrounding technology and the human work force, with self-interested scaremongers stoking the flames of a narrative where the advent of artificial intelligence and machine learning wipes out the need for humans in factories and facilities around the globe. The potential for robot-centred logistics to perform traditionally human-centric work faster and more efficiently is evident, even if the research that robots will eliminate human jobs altogether is exaggerated at best. According to a McKinsey Global Institute report, less than 5% of occupations consist of activities that are 100% automatable. Yet whilst the robot invasion is having a negative impact on some livelihoods, advancements in other fields are helping to save lives. At the Northern Centre for Advanced Technology (NORCAT) in Canada, they’re mapping out mines for new employees to take pre-work tours; BP are using virtual oil rigs to familarise workers with offshore platforms; and Walmart train their staff to be eagle eyed for spills in aisles. And early adopters are already seeing tangible results. In a bid to reach its zero accident goal, Colas, the rail and road infrastructure company, has now made safety training on Vive Pro headsets with Immersive Factory's software, mandatory for all new employees. Forget boring booklets and dullards in high-vis jackets; the benefits of virtual reality for health and safety training are huge and it’s an application that knows no bounds. Car manufacturing was one of the first industries to realise the potential for VR, with 3D design now a regular fixture for companies such as Ford and McLaren. Spanish car manufacturer SEAT has been working with VR for more than 20 years. During the approximately three and a half years of development that go into a car, up to three million elements are analysed using simulations, a figure which was limited to only 5,000 items 30 years ago. The test crash dummies of today only exist in the virtual space. SEAT is also currently using VR with a special focus on the development of passive driving-safety systems for the automated vehicle era, and its parent company Volkswagen aims to train 10,000 employees in Vive headsets by the end of 2018. Mark Whittle, business psychologist and VR consultant for Virtual Reality Experiences (VRE) says that the benefits of VR are particularly profound for the safety training of workers. VRE develops simulations that map precisely the steps needed to carry out a routine process effectively and safely. The task might involve selecting the appropriate tools, drilling holes, and fitting a plate on a platform, for example. Workers learn by first having the process demonstrated using VR, then the user is guided, step-by-step, to make sure the process is followed. Finally, the user is tested on the same process, using the VR headset but without guidance to make the right choices i.e. which tool to select, where to drill, which task to do next etc. 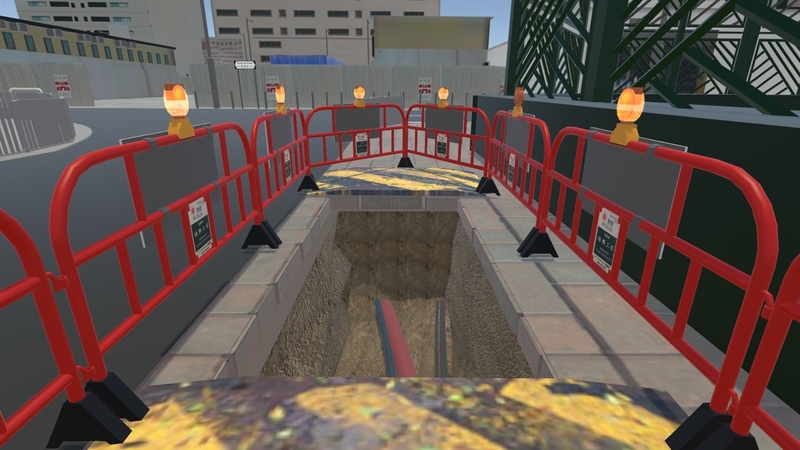 “Using VR allows the user to get it wrong, safely,” says Whittle, adding that this is most apparent in hazardous environments such as working at height or in confined spaces, on busy construction sites and amidst traffic. The examples he gives include offshore wind turbine engineers and rail track maintenance workers, illustrating exactly why BP and NORCAT have got on the VR wagon. “A new employee can see the consequences of failing to attach a harness or of not looking all around for vehicles, but without the risk of being injured. All choices are recorded and training managers can provide feedback to each employee based on their performance," he continues. It also allows us to remember them. Research from 2015 on knowledge retention from the use of VR in training by the Human-Computer Interaction Lab at the University of Udine in Italy revealed that passengers involved in an evacuation simulation from a aircraft water landing experienced no knowledge loss after one week. Lab director Professor Luca Chittaro (also in the news last year for launching an app that gamified airplane safety), concluded “these results suggest a new approach to educating people about safety”. Founded in August 2015, Lindero Edutainment is a VR content creation company that's behind Earthquake Simulator VR, an experience which gives people a chance to plan for and experience the natural disaster. It begins with a Breaking News Video that lets people know that there have been reports of an earthquake, before giving users a chance to put together an emergency preparedness kit. Once complete, warnings occur and first a small quake happens, followed by a large quake. Lindero co-founder Johnathan Adams says research points to several key reasons why VR is an effective tool for natural disaster training, highlighting the fact that the technology is most suited to training cognitive skills related to remembering and understanding spatial and visual information and knowledge; psychomotor skills related to head movement, such as visual scanning and observational skills; and affective skills related to controlling emotional responses to stressful or difficult situations. We really shouldn’t be surprised by this shift towards simulation, which has proved effective for high-value, high hazard industries such as aviation and racing cars, where the physical simulator feels more like the real-world equipment (i.e. in-cockpit simulation). Indeed, Whittle believes that the evolution of haptics (where the user gets sense feedback from the virtual world) and more lifelike in-sim experiences will increase the likelihood of realistic and more life-affirming responses from participants. It’s a point further backed up by another recent study where users on a virtual plank above a drop made a more lifelike stride if a real wooden plank was placed on the floor in the real world, than if they felt a flat floor underneath them. The more tangible a threat, the more likely we are to learn from it. Unlike previous advances in technology, such as e-learning, VR brings the whole body into play and engages muscle memory, training workers with skills and responses for both routine and emergency tasks. It provides insight for assessing workers’ skills before they’re on site; it’s efficient and cost-effective (instead of having to send staff away from the workplace to a training centre, VR can effortlessly bring what would otherwise be bulky equipment or vehicles to the workplace); and for industries where safety training has a reputation for being dull text to read and icons to ignore, VR is way of re-engaging people with the topic. Above all else though, using VR in health and safety could literally save lives. And you don’t need a simulation to explain how cool that could be.